93 Pts - Pristine. Elegant. Impressive. Enjoy with fresh seafood, salads and egg dishes. French trained winemaker John Belsham, makes this wine dry and delicious; flavors of ripe citrus and stone fruit mingle with lemon thyme and warm wet stones. Enjoy as an aperitif or with fresh cheeses, frittatas, smoked fish and salads. FOX is named after the explorer, William Fox, who named a tributary island in Marlborough, Foxes Island. The watercolor of native New Zealand florals that grace our label was painted by the English artist, Sarah Featon circa 1888. Her extraordinary work painting and cataloging the botanicals of her adopted country ultimately disproved the belief that New Zealand was void of native flora. Her work would become the first full color artist book published in New Zealand. A special thanks to the Sir George Grey Collection at Auckland Libraries. 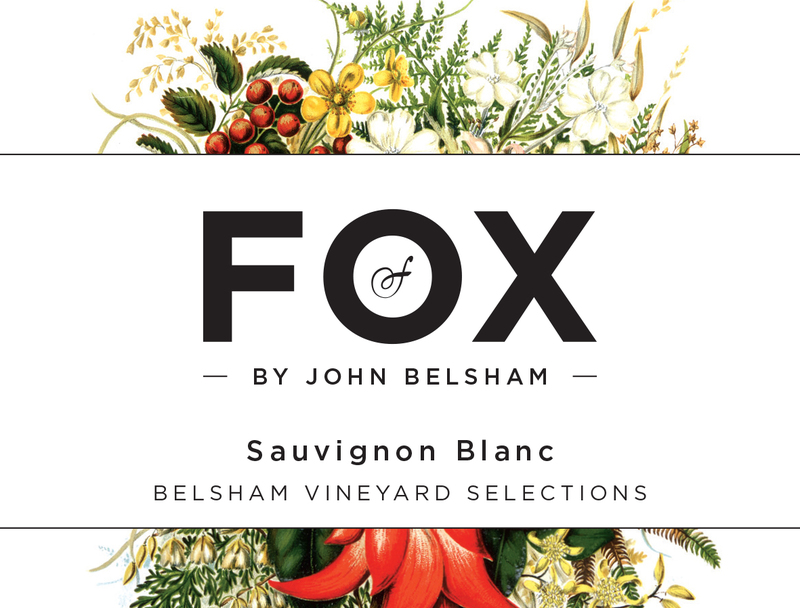 Click the button below to add the FOX Sauvignon Blanc 2016 to your wish list.